Chris Ranson. 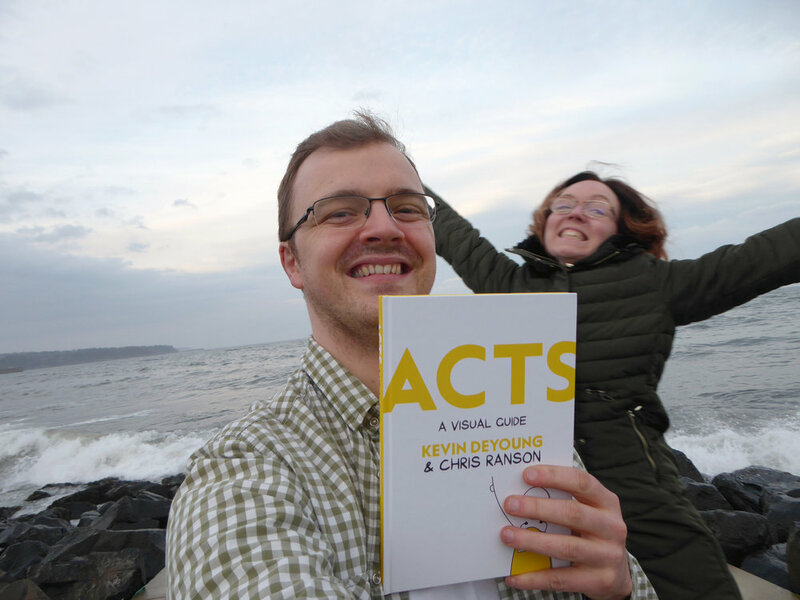 Co-Author, Illustrator - Acts: a Visual Guide. Some of these truths, despite the complex language, are really simple. However, our hearts can cause us more trouble in understanding than our heads sometimes. I had a bit of a job keeping up today! The Professor speaks fast and deep - not a common trait. Wonderful stuff though. I managed to jot down this thought... how often do we equate a statement by one scientist and the statements of science as a discipline. Not that these things are never the same thing, but as the Professor was saying, a lot of people have been harmed by the personal ideologies of some in the scientific community. This is especially troubling as science, in the sense of the scientific method, cannot fundamentally be tied to one world view - even if I would say it is tied to an ordered world created by an ordered God, and even if someone else says it is formed from an chaotic explosion which itself came from nothing. This does not leave those in the religious community off the hook however. How many Ministers, when discussing creation, have decried a certain viewpoint which need not be dismissed at all as a potential explanation for the world we see today? Opinion can be a very influential and dangerous thing. Perhaps here is a good place to stop typing! © COPYRIGHT Chris Ranson 2018. ALL RIGHTS RESERVED.